Escape to beautiful Kailua-Kona with fantastic accommodations at the Islander Inn Kona. SellMyTimeshareNow.com offers an impressive selection of timeshare resale and rental units advertised by-owner at prices up to 70% off retail. What’s My Kona Islander Inn Timeshare Worth? Located on the Big Island of Hawaii, the Kona Islander is the perfect place to relax and unwind in a tropical paradise. Situated in the historic town of Kona, there's also plenty to do in terms of adventure including snorkeling, cruising, zip lining, deep sea fishing, and much more. 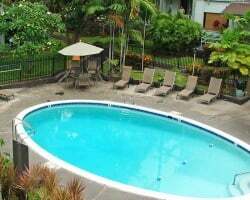 After exploring the local scene, Kona Islander Inn provides the perfect place to rest up with a fresh water pool, whirlpool spa, and the surrounding tropical flora and fauna. You also have access to a quiet and secluded beach for sunbathing on or taking in vibrant sunsets. 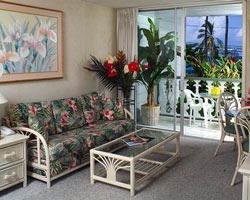 Bright and sunny studio units are available at Kona Islander Inn. Each well appointed unit sleeps four comfortably with a full bathroom, select kitchen appliances, sofa bed, and a private balcony or patio to enjoy the surrounding ocean views. Theses suites are cozy and practical without feeling cramped. They are the perfect compliment to your serene and tropical Hawaiian getaway with your loved ones. 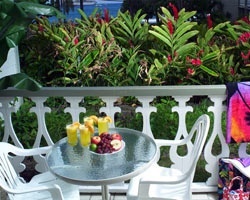 Find your Hawaiian paradise with a vacation to Islander Inn Kona! We'll help you to find the best timeshare resale or rental for all your needs. Complete the form on the right to get started or call us directly at 1-877-815-4227 for more information. Vacationing in Hawaii every year may sound like something you could never afford, but luckily the resale market makes luxury vacations attainable for all budgets! How so? Shopping the secondary market, you'll find a selection of Kona Islander Inn timeshare resales advertised by-owner at affordable prices. The prices are significantly more affordable than going directly through the resort because they don't include the extra costs that developers tack on. This includes things like sales commissions, taxes, and hidden fees. These drive up the cost significantly, causing you to pay more than the timeshare is worth. Browse the secondary market and save up to 70% off—that's thousands of dollars! Our inventory of Kona Islander Inn resales featured deeded floating weeks with annual, biannual, and biennial usage, many within the popular Red season of ownership. Determine how often you want to travel and then decide what season you wish to take your vacation. Floating weeks allow you to reserve the week of your choosing each year within your ownership season. This gives you more flexibility and ensures you can always make time for a getaway. Kona Islander Inn is affiliated with the world's leading external exchange company, RCI. With this affiliation, Kona Islander Inn timeshare owners have the great opportunity to purchase an annual RCI membership and take advantage of their comprehensive exchange services. RCI makes it easy to travel the world with their vast and ever-growing network of affiliates. Boasting thousands of properties in their portfolio located all over the world, RCI members have virtually endless places to travel. Additionally, RCI is only affiliated with the best of the best vacation ownership resorts, ensuring their members always enjoy a high-quality vacation at top-name resorts. To exchange, simply deposit your Kona Islander Inn timeshare week with RCI and make a reservation at any of the available resorts in their inventory—it's that easy! In addition to the RCI affiliation, Islander Inn Kona is also affiliated with another leading external exchange company, Interval International. RCI and Interval International operate similarly, and Kona Islander Inn owners can obtain an annual Interval International membership instead of or in addition to an RCI membership. You can also deposit your Kona Islander Inn timeshare week the same way you would with RCI! 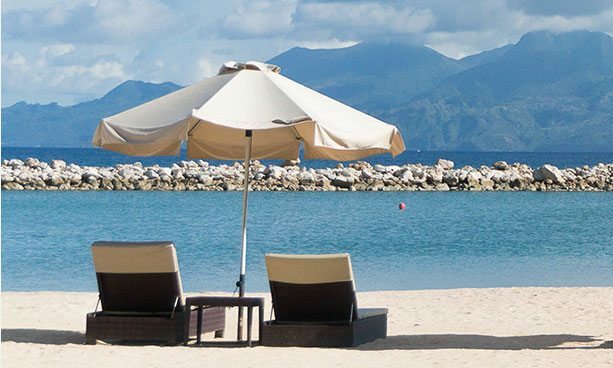 Interval International features its own unique portfolio of affiliated luxury resorts all across the globe. Between RCI and Interval International, there's really nowhere Kona Islander Inn timeshare owners can't travel. External exchange makes it simple and cost-effective to travel the world through your timeshare ownership. 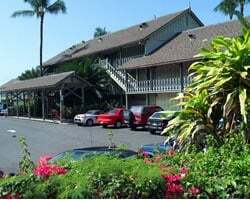 Stay at the gorgeous, secluded Kona Islander Inn while also being minutes from the best the area has to offer. Located in the heart of Kon'a Kailua Village, guests can stroll downtown and find quaint shops and tasty restaurants. Kailua Bay is not far off for fun boating, fishing, and swimming opportunities. Shop around Kona Marketplace and Kona Farmer's Market. Sample the local Kona coffee or a local brew at the Kona Brewing Company. Other local attractions include Mauna Kea Summit, Ali'i Drive, Hulihee Palace, Mokuaikaua Church, and Kamakahonu National Historic Landmark. Hawaii is also known for it's gorgeous hiking opportunities, colorful coral reefs filled with exotic fish for snorkeling, sunset cruises, and exciting authentic luaus! Return to Kona Islander Inn to relax and unwind by the fresh water pool, whirlpool spa, or relaxing along the sands of the private beach. You and your family will love this gorgeous Hawaiian getaway experience and look forward to returning time and time again. Already Own at Kona Islander Inn?